GUELPH, ON – A new brewery with a cycling theme has announced that it will be officially opening in Guelph this coming Thanksgiving weekend (October 5th-8th). 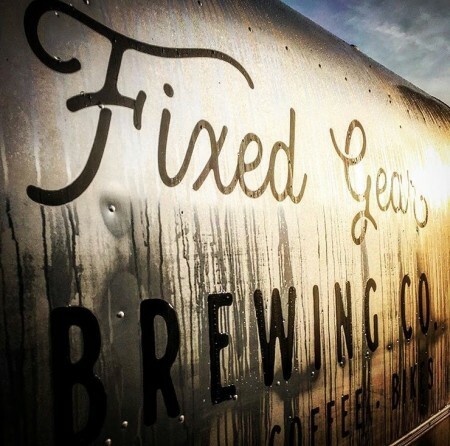 Fixed Gear Brewing is being launched by a team that includes head brewer Mike Mayo, and is opening with a line-up of beers that includes Dutch Classic Blonde Ale, Peloton Pilsner, Domestique Dry Hopped Saison, Alley Cat Milkshake IPA, Breakaway IPA, Trackstand APA, and Training Wheels Kettle Sour. Fixed Gear Brewing is located at 20 Alma Street in Guelph’s Junction neighbourhood. Business hours this weekend will be 12:00 noon to 8:00 PM on Friday and Saturday, and 12:00 noon to 5:00 PM on Sunday and Monday. For more details, see the Fixed Gear Brewing Instagram feed and Facebook page.